The state Department of Corrections is asking legislators to approve a raise for corrections officers, as the state faces a crippling shortage of prison workers. COLORADO SPRINGS, Colo. – The Colorado Department of Corrections is asking legislators to approve a raise for corrections officers as the state faces a crippling shortage of prison workers. 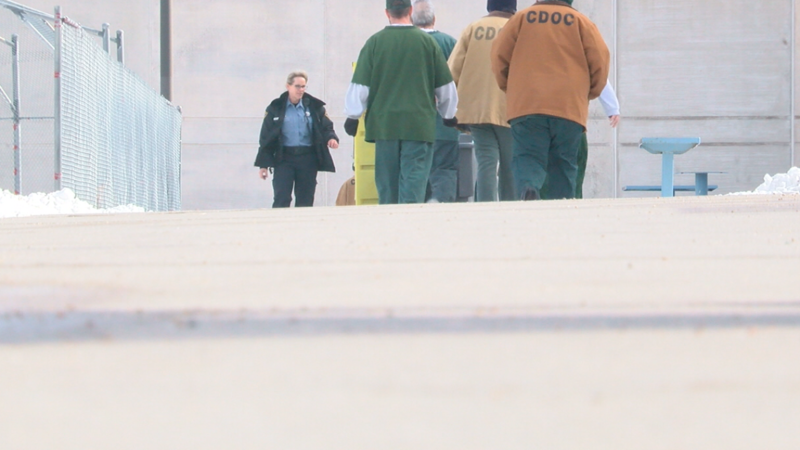 Several current and some former corrections officers called Contact7 Investigates to say they feel unsafe due to low staffing levels and forced overtime. “We don’t have a choice (to work),” said Eric Olsen who is a corrections officer at the Denver Reception and Diagnostic Center. He said employees are forced to work their usual eight-hour shift and then, sometimes at the last minute, are asked to stay on for an additional eight-hour shift. "If you have someone working a 16-hour shift, when they get on the road, it's not safe for the public," Olsen said. Former corrections officer Roberto Aguirre, who spent two decades with the Colorado prison system before retiring two years ago, said he saw corrections officers fall asleep on the job. The head of the state employees union, Hilary Glasgow, agreed that workers are sometimes exhausted. “How can you not be? How can you get eight hours of rest and return for another 16-hour day?" she asked. The state has been temporarily patching the problem but has hemorrhaged money in the process. The Department of Corrections paid $10.7 million for overtime in 2016. It paid $14.7 million in 2017. That amount went up to $19.7 million in 2018. The numbers were provided to Contact7 Investigates by the Department of Corrections. The problem of low staffing exists in part because the pay for state corrections officers is lower than what many jailers in the state are paid. Corrections officers often leave state jobs to work at local jails. A state corrections officer starts at $20.29 an hour. In Jefferson County, a jailer starts at $28.79. In Arapahoe County, the starting pay is $25.79. New Department of Corrections Executive Director Dean Williams started his position earlier this month after Gov. Jared Polis took office. He invited Contact7 to tour the Sterling Correctional Facility last week with him. "The vacancies are one of the reasons why I'm here today," Williams said. At the facility, he met corrections officer Shannon Frank, who was working a double shift. "That should not be the norm, and just so you know I'm keenly aware," she told Frank. Williams said he wanted corrections officers to get a raise but did not give an amount. "I think you can make an arithmetic argument that it's better to use that money and just pay staff a fair wage versus the nearly $10 million that we're spending on overtime right now," Williams said. "I think the corrections officers should get a raise and I don’t say that lightly." Department of Corrections spokeswoman Adrienne Jacobson said a decision on the raises won't be made by the legislature until March.